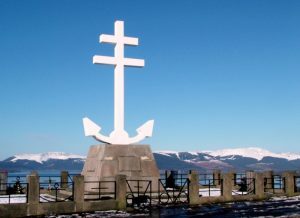 The logo of Greenock and Paisley Presbytery comprises an anchor with a superimposed cross (inspired by the Cross of Lorraine). in our bustling, teeming, jostling world there are people who are lost and astray. As we try to follow your example, guide us as we strive in our way to be good shepherds. Amen.